HDD Spotlight Bargain: 'Vengeance Trilogy' Blu-ray $32.99 at Amazon! Today's spotlight deal serves up Park Chan-wook's acclaimed trilogy of films for nearly fifty percent off! 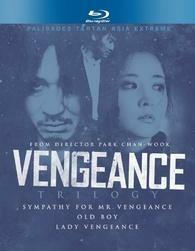 The online retailer is selling 'Vengeance Trilogy' for $32.99 (49% off suggested list price). Click here to have that sweet taste of revenge!